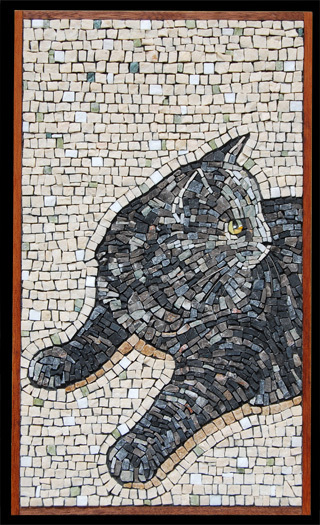 Dimensions: 8 " x 13.75 "
Meet Mo ... a lovely cat who lives in Rhode Island and still thinks he is a kitten. On this project, the pose comes from a photograph. In the photo he is surrounded by his favorite toys but since he should be the center of attention, the toys are put away. His dark coat with piles of undulating fur is contrasted with a neutral calm background. He looks off screen as he contemplates where his next burst of energy will take him.